Ada Rapoport-Albert has been a key player in the profound transformation of the history of hasidism that has taken shape since the 1970s. She has never lacked the courage to question conventional wisdom, but neither has she overturned it lightly. The essays in this volume show the erudition and creativity of her contribution to rewriting the master-narrative of hasidic history. Thanks to her we now know that eighteenth-century hasidism evolved in a context of intense spirituality rather than political, social, economic, or religious crisis. It did not represent the movement’s ‘classic period’ and was not a project of democratization, ameliorating the hierarchical structuring of religion and spirituality. Eighteenth-century hasidism is more accurately described as the formative and creative prelude to the mature movement of the nineteenth century: initially neither institutionalized nor centralized, it developed through a process of differentiation from traditional ascetic-mystical hasidism. Its elite leaders only became conscious of a distinctive group identity after the Ba’al Shem Tov’s death, and they subsequently spent the period from the late eighteenth to the early nineteenth century experimenting with various forms of doctrine, literature, organization, leadership, and transfer of authority. 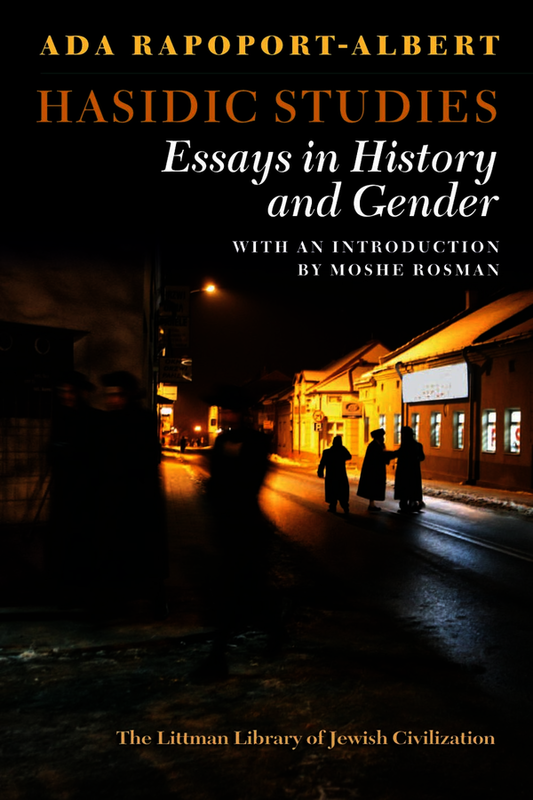 Somewhat surprisingly there was no attempt to introduce any revision of women’s status and role; in the examination of this area of hasidism Rapoport-Albert’s contribution has been singularly revealing. Her work has emphasized that, contrary to hasidism’s thrust towards spiritualization of the physical, the movement persisted in identifying women with an irredeemable materiality: women could never escape their inherent sexuality and attain the spiritual heights. Gender hierarchy therefore persisted and, formally speaking, for the first 150 years or so of hasidism’s existence women were not counted as members of the group. Twentieth-century Habad hasidim responded to modernist feminism by re-evaluating the role of women, but just as Habad appropriated modern rhetorical strategies to defend tradition, so it adopted certain feminist postulates in order to create a counter-feminism that would empower women without destabilizing traditional gender roles. The essays in this volume are a fitting statement of Professor Rapoport-Albert’s importance to the study of hasidism, to Jewish studies as a whole, and to the academic scrutiny of religion. Written over a period of forty years, they have been updated for this volume with regard to significant detail and to take account of important works of scholarship written after they were originally published. Ada Rapoport-Albert is Professor of Jewish Studies and former Head of the Department of Hebrew and Jewish Studies at University College London. She is the author of a number of studies on the history of hasidism. Moshe Rosman is Professor of Jewish History at Bar-Ilan University in Israel. He has been a Fulbright-IREX fellow, a fellow of the Hebrew University's Institute for Advanced Studies and the University of Pennsylvania's Katz Center for Advanced Judaic Studies, winner of the National Jewish Book Award (1996, 2009), the Zalman Shazar Prize (2000), the Jerzy Milewski Award (2000), and the Jordan Schnitzer Award (2010), and visiting professor at Yale and other universities. His books include The Lords' Jews: Jews and Magnates in the Polish-Lithuanian Commonwealth. He is one of the principal authors of A New History of Hasidism.